Thousands attend while a few animal-rights demonstrators stand outside in protest. Thousands of Mainers headed up and moved out to the Cross Insurance Arena in Portland on Friday night to enjoy a live, professional bull-riding competition. The organizer, Colorado-based Professional Bull Riders Inc., expected total attendance of about 6,000 during the PBR Velocity Tour’s two-night stay in Portland, which concludes Saturday, said company spokeswoman Amanda Bevington-Tuimalealiifano. It is only the second time the nationwide tour has come to Portland, although Bangor has long been a regular stop. Fans attending the competition said bull-riding and Maine go together like boots and cowboy hats. Yarmouth resident John Kyle said he has been a fan of bull-riding for a long time and bought his ticket immediately when he heard the PBR tour was coming to Portland. 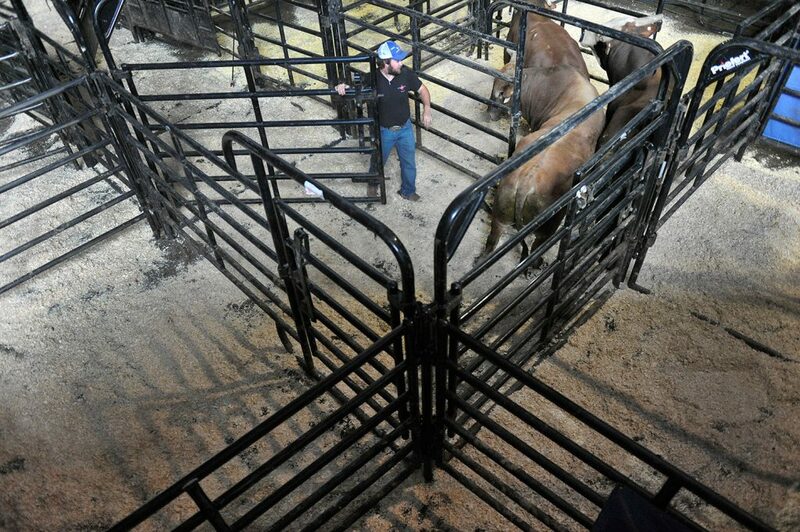 It takes a lot of preparation to put on a bull-riding competition, Bevington-Tuimalealiifano said. It begins a day beforehand, with truckloads of locally sourced dirt being dumped into the arena to cover the entire floor about 10 inches deep to reduce injuries from falling off the bulls. “We fill our arenas with about 70 tons of dirt,” she said. The event itself was like a cross between a sporting event and a rock concert, with a dash of conservative politics thrown in for good measure. The competition began with a prayer for the bull riders and the troops, followed by a short speech in which the announcer scolded in absentia the athletes who refuse to stand for “The Star-Spangled Banner.” Then, everyone stood for the national anthem. 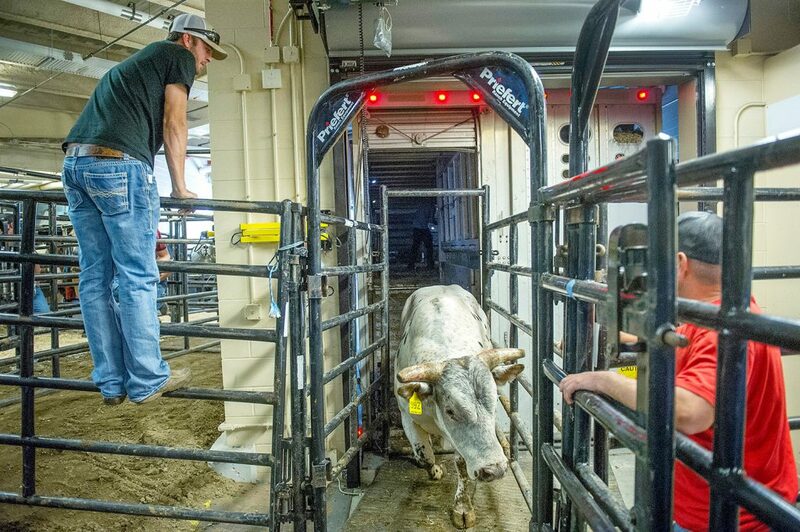 During the competition, pop and country music blasted, lights flashed, and machines pumped smoke while riders lurched out of the gates one at a time, each flailing and hanging on for dear life to his spastic bull. About 40 riders and bulls participate in each event, Bevington-Tuimalealiifano said. PBR rookie Garrett Ashley, a 21-year-old bull rider from Kansas City, Missouri, said he was hoping to rack up big points Friday night. Bull riders accrue points over the course of a season, with their totals ultimately determining who will go on to the finals that year in Las Vegas. Outside the arena, a handful of protesters held signs and handed out cards urging people to reconsider their decision to attend a bull-riding event. “We just would like people to question a form of entertainment that is exploitative, and think about whether it’s worth it,” said Nickola Cole, a volunteer for Animal Rights Maine. The protesters were quick to point out that they scored a big victory this week when the city of Portland passed an ordinance outlawing the use of exotic animals for entertainment, such as those involved in a traveling circus. 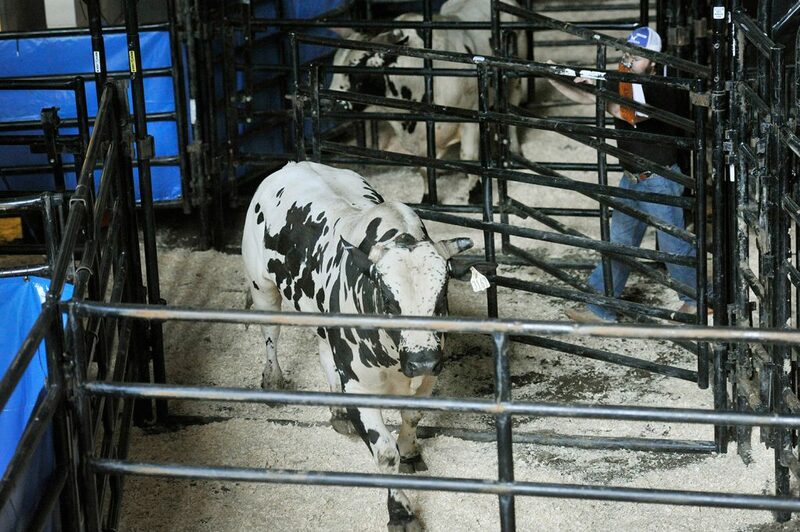 However, they acknowledged that – at least politically – bull-riding is a completely different animal.